Israeli secret police are recruiting Palestinian informers by threatening to bar sick people from receiving medical assistance, an Israeli human rights organisation claims. Physicians for Human Rights claims that Shin Bet is interrogating Palestinian patients trying to cross the border and seek treatment in Israel. Hospital services are scarce and of poor quality in Gaza Strip, and Palestinians try travelling to Israel to visit a doctor there. At the security terminal at Erez – the only passenger crossing still open between Gaza and Israel – patients are taken to a small underground room and pressured into spying on their community. Those refusing to collaborate are denied entry – and thus a chance to get proper medical treatment. 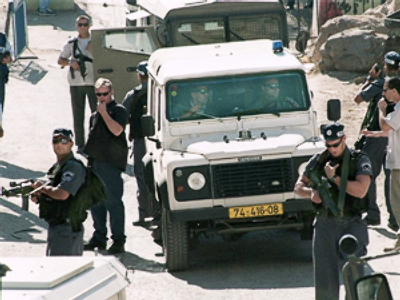 The report cites testimonies of more then 30 Palestinians who were subjected to the practice. The human rights group say such pressure amounts to coercion and extortion. The number of requests for medical assistance in Israel – which is funded by the Palestinian Authority – surged after Israel introduced blockade of Gaza. From about 600 a month at the beginning of 2007 the number jumped to about 1,000 a month by the end of the year. Israeli authorities insist Palestinians are denied entry into the Jewish state on security grounds.